Elizabeth Clare Prophet (1939-2009) was an author, teacher, messenger and leader of The Summit Lighthouse. Like her husband, Mark L. Prophet, her calling was to be a prophet of God, or one who delivers the Word of God. 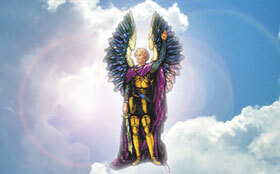 Trained by the Ascended Masters, she delivered their messages to the world through the power of the Holy Spirit. These messages, known as “dictations,” contain the words of the heavenly host, as well as a transfer of light for soul quickening and initiation. While receiving these dictations, she was fully conscious yet in an exalted state. The messages occurred through the conveyance of the Holy Spirit and not through psychicism or spiritualism where a disembodied spirit takes over the body of a channeler. 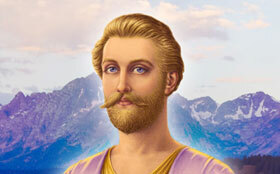 Through Mark and Elizabeth Prophet, the Ascended Masters released profound teachings, messages and prophecies that present a path and a teaching whereby souls can find their way back to God. Elizabeth Clare Prophet never claimed to be a master herself, but only the Masters' instrument. She saw herself as a servant of the light in all the Ascended Masters' students and in all people. During her mission and ministry, she taught on a wide variety of spiritual subjects: angels and archangels, karma and reincarnation, healing and wholeness, soul mates, twin flames and relationships, and practical spirituality, to name just a few. Her great desire was to share a spiritual path that would take true seekers, in the tradition of the masters of the Far East, as far as they could go and needed to go to meet their true teachers, the Ascended Masters, the archangels and their own Higher Self, face-to-face. Her unpublished writings, lectures and dictations from the Ascended Masters continue to be released by The Summit Lighthouse and Summit University Press. 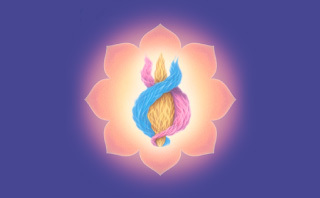 Published in English in multiple formats then often translated into more than 30 languages, these teachings of the Ascended Masters continue to beckon to the new seeker as well as to inspire and progress the long-time student. Read more articles about Elizabeth Clare Prophet and The Summit Lighthouse. If we don’t do everything we do with love, our actions have no meaning. They have no promise. 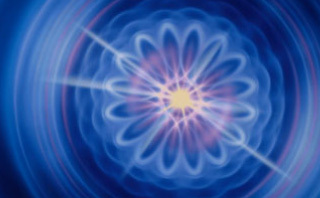 They have no healing properties….For love is the great healer, and you can be great healers when you have great love. Once you know your Mighty I AM Presence and make the contact, the fire of love is intense in its descent and it descends as the Holy Spirit of the Father and the Son. Videos on the teachings of the ascended masters with Elizabeth Clare Prophet. Teachings from Elizabeth Clare Prophet on the ascended masters. When Elizabeth Clare Prophet was working on her biography, she said that one of her goals was for people ‘to know me spiritually and humanly.’ Both aspects of her life are here.